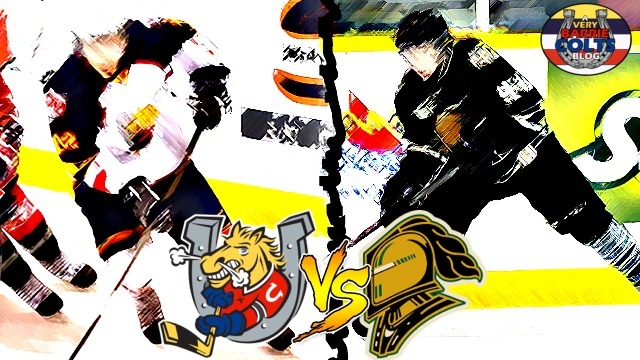 Barrie Colts to host London Knights in the 2016-17 Home Opener! #OHL - Very Barrie Colts | A website covering the Barrie Colts of the OHL. It was announced today that the Barrie Colts would host the Memorial Cup Champion, London Knights on Saturday, October the 1st. The game will be the third of the Colts 2016-17 regular season. They will make their season opener on the road when they face-off against the Kingston Frontenacs at the K-Rock Centre. That game is scheduled for Friday, September the 23rd. The second game of the season is set to take place Sunday, September the 25th at TD Place when they face the Ottawa 67's. Barrie faced London twice this past regular season and lost both meetings. No doubt the team would love to start the season off with some revenge over the OHL Champions. Keep an eye open because we expect the full schedule to be posted soon and we will be sure to share all the details. So be excited because we have some Barrie Colts hockey back in Barrie in 101 dalmat....er, days!